With Monster Hunt, live action animated films have come a long way. This one, with computer generated animation in 3D effects, convincingly combines real actors and animated cartoon characters, in the same space, in the same time, making it look real and exciting. The Hong Kong-based production is the directorial debut of animator Raman Hui, who is known for his work in animated films like Shrek the Third and Madagascar. 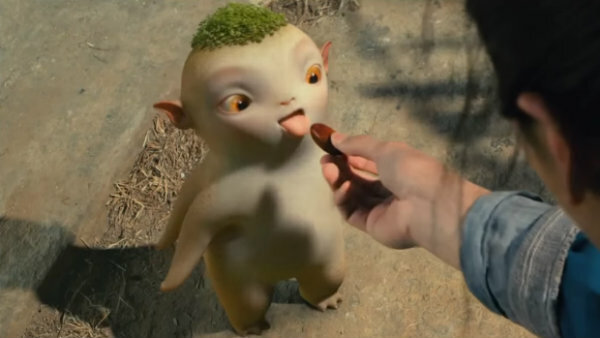 Monster Hunt is a comedy adventure that fluctuates in tone, theme and character design. Yet, the film is a sheer, enchanting entertainer that keeps you glued to the screen. The narration transports you to a fantasy land long time ago, when monsters ruled the earth. The humans hated this, so they started a war with them that ended with the monsters living in the wilderness away from the humans. Soon a civil war erupted among the monsters. Some of the good ones took shelter among the humans. They were then hunted by the bad ones and mercenary humans. 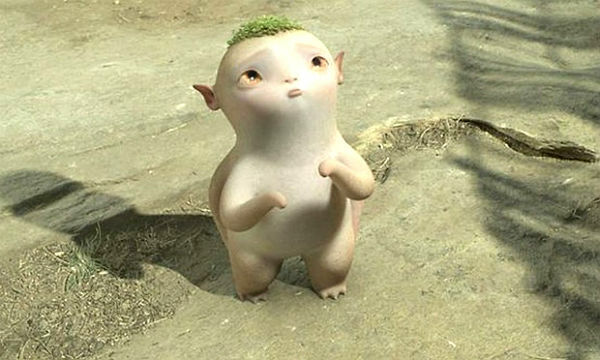 Monster Hunt is the tale of Huba, the young radish-faced monster prince, who it was predicted, "would change the destiny of both worlds", referring to the monsters and humans. It is the young prince's journey, from his mother's womb till his rightful destination that forms the crux of the tale. The plot, developed from a story by co-writer Alan Yuen Kam-Lun, consists of all the classic fantasy tropes that include a novel setting, cuddly-faced creatures, Kung-fu antics and with a sentimental dollop of easily digestible moral storytelling. Set in a town called Yongning, the story is convincingly translated on the silver screen by its able cast which include the animated ones too. Jing Boran is charismatic as Tianyin, the Mayor of Yongning, who is oblivious of the fact that his people are benevolent monsters living under human skins. He delivers an incredible performance as the lovable bumpkin (foolish man) with a tender heart. The narration gathers momentum when he meets a level two monster hunter, Xiaonan. Bai Baihe as the street-smart and tough Xiaonan is perky and agile. She livens up the screen with her pixie-like charm and sprightly moves. She is well-balanced by rival hunter Luo Gan, played by Jiang Wu. All the other supporting cast effectively compliment one and other. Outstanding among them are the ace comedians Eric Tsang and Sandra Ng, who play Zhugao and Pangying -- the husband and wife guardians of the pregnant monster queen Yao Chen, the master chef and Yan Ni and Bao Jianfeng, the infertile couple. With ace production values; the gorgeous computer generated images created by the visual effects expert Jason H. Snell merge well with the live footage lensed by ace director of photography, Anthony Pun. The music by Leon Ko is mellifluous. The three songs in the movie seamlessly fuse into the narration making it a bit of a mushy affair. And the dazzling action choreographed by Ku Huen Chiu is worth a mention. Overall, Monster Hunt will entice kids and adults alike.